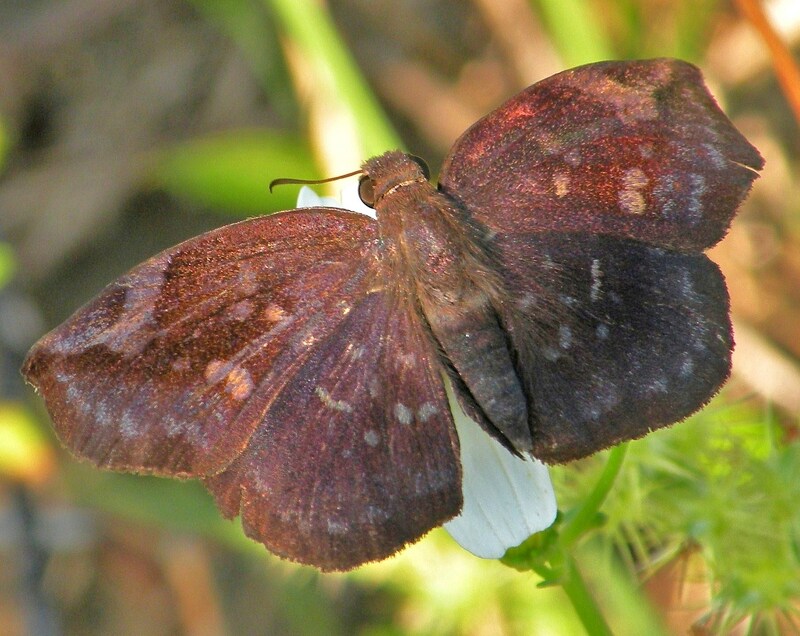 Identification: Forewing is pointed, with a shallow indentation below the apex. 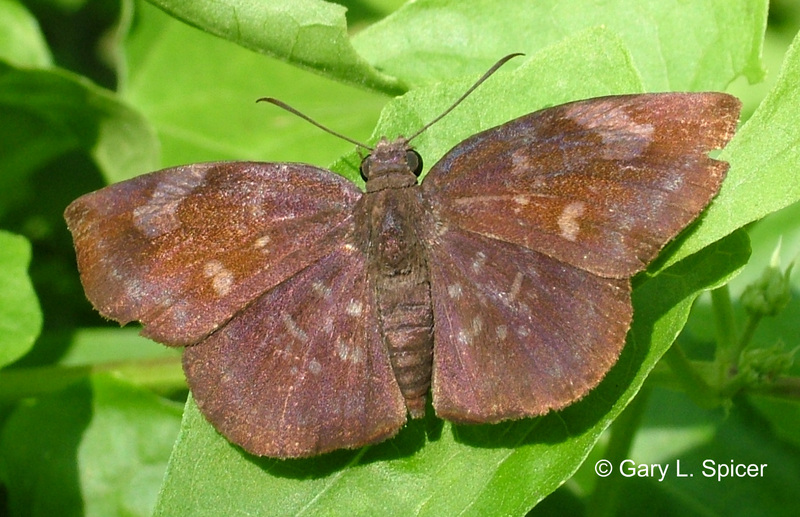 Upperside of male is dark brown with a purple sheen and pale brown spots; female is brown with bands of square blue-gray or olive-gray spots. Life History: Adults rest under or on top of leaves. Females deposit eggs singly on the top of host plant leaves, which the caterpillars eat. Caterpillars rest in nests of silked-together leaves. Flight: Many flights all year in South Texas; most common from August-November. Caterpillar Hosts: Trees in the citrus family (Rutaceae) prickly-ash (Zanthoxylum fagara) in Texas; Z. monophyllum and various Citrus species in tropical America. Habitat: Openings and edges in tropical thorn forest and scrub; city gardens. Range: Argentina north through tropical America and the West Indies to South Texas. A regular stray north to central Texas, rarely to Arkansas and Kansas. 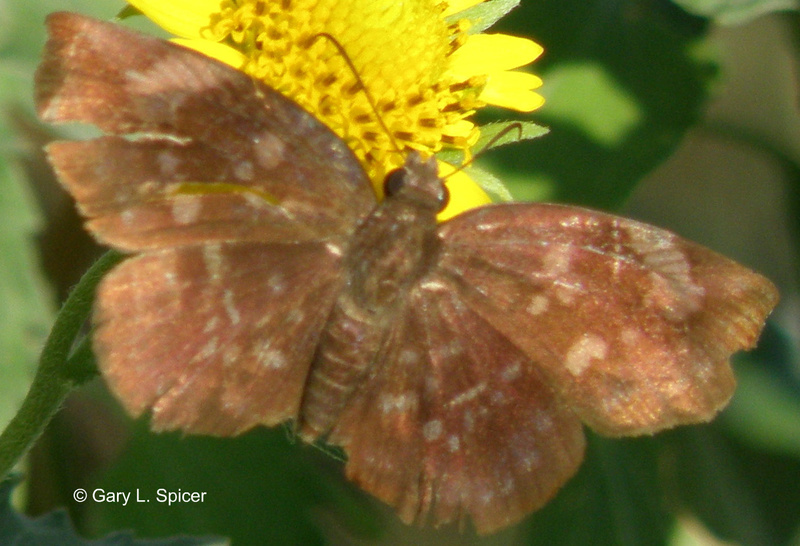 Conservation: Maintain habitat extent and integrity in the lower Rio Grande Valley of Texas.